Country’s wheat production is coming down due to fungal diseases, forcing public and private sections to import a huge quantity of the food grain from abroad to fulfill domestic demand. Farmers are losing interest in cultivating wheat due to massive crop losses by blast attacks, sources at the Department of Agriculture Extension (DAE) said. They are now showing great interest in paddy farming because of its high prices in local market. 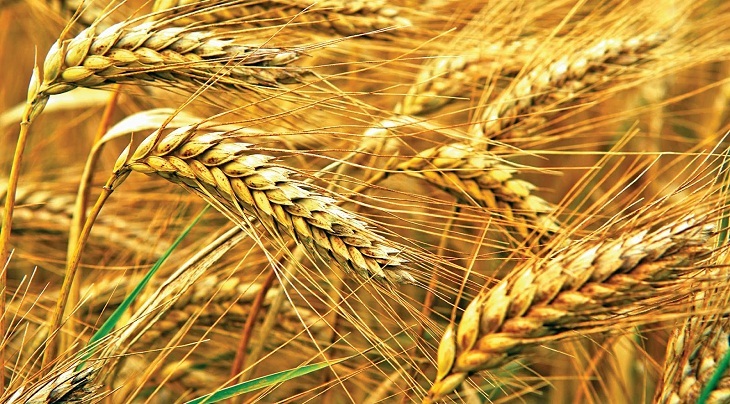 Official sources said there is a growing demand for wheat in local food processing industries and consumer markets. Over 5,690,000 tonnes of wheat was imported from abroad in 2016-17. Some 4,195,000 tonnes of wheat has been imported in the last eight months from July 2017 to January 2018, according to the Food Ministry. The DAE said in a report that blast attacks on wheat croplands was widespread in Meherpur district. “We have intensified field monitoring to prevent outbreaks of wheat diseases,” it says. The blast has also made farmers panicked in the country, which shaved off its cultivation. Wheat cultivation has declined by 62,000 hectares this year and 33 hectares last year. This year production target of 12.80 lakh tonnes has been fixed from four lakh hectares of land. Last year the target was 14.310 lakh tonnes from 4.62 lakh hectares. In 2017, wheat cultivation declined by 33 hectares, so production dropped by 36,000 tonnes compared to the previous year, according to DAE and BBS data. DAE additional director (field service wing) Alhaz Uddin Ahmed said they are supervising the situation this year and collecting information about the disease outbreak from the field level. The filed officials are providing support to farmers for taking precautionary measures to protect their crops from the blast attack. Suruz Mollah, a farmer in Kushtia, said instead of wheat, he is cultivating paddy on four bighas of land due to high prices. “Wheat price in grower’s level is now lower than the paddy,” he said. Wheat crop on about four hectares has been burnt due to the blast attack. Some fields were affected in the southwestern districts last year. Around 8-10 hectares have been infected with the blast, a deadly fungal disease, in the southwestern districts in 2016, according to DAE data. The blast broke out in Bangladesh for the first time in 2016, causing a huge loss of wheat production in seven southwestern and southern districts. In 2016, the blast hit hard 15,500 hectares in Jessore, Kushtia, Chuadanga, Meherpur, Jheniadah, Magura, Barisal and Bhola. Nearly 40 percent of crops were damaged across the country, causing a financial loss of at least Tk 1,800 crore. Last year the DAE advised farmers of five southwestern districts not to cultivate wheat in the wake of the blast breakout. This year the government agricultural organisation advised farmers to take some precautionary measures to combat the blast outbreak.